as part of a dynamic international and interdisciplinary team of young researchers, I was fortunate to participate in the integrated church forest management project since its pilot phase in 2016. 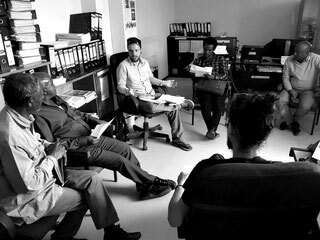 During my first stay in Ethiopia I developed a socioeconomic survey for the baseline study of the project and together with our colleagues from EOC-DICAC I conducted several key informant interviews, focus group discussions and participatory mappings with local stakeholders at different target sites to integrate local interests and tacit knowledge into the multidimensional approach of the programme. During my second stay in 2017, I conceptualized a sustainable value chain framework as well as a detailed business plan for one of the church forest tree nurseries which should serve as a future role model for all other nursery sites of the project. 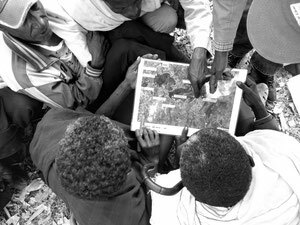 Participatory mapping within a local community nearby Tara Gedam church forest (Amhara). 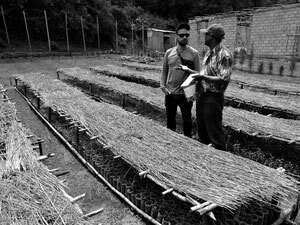 Field visit of the church forest tree nursery of Bole Bulbula (Addis Ababa). 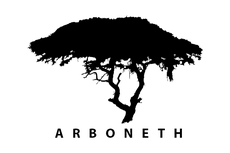 ARBONETH gave me the opportunity to immerse into the highly diverse environmental and sociocultural setting of Ethiopia, to apply and to enrich my scientific capacities, while gaining valuable experience in the world of international development co-operation. Moreover, due to its multidimensional and integrative approach of biodiversity conservation/forest restoration on the one hand and livelihood diversification/capacity building one the other hand, the church forest management project under the umbrella of ARBONETH represents an outstanding example of an effective holistic and sustainable development co-operation strategy.